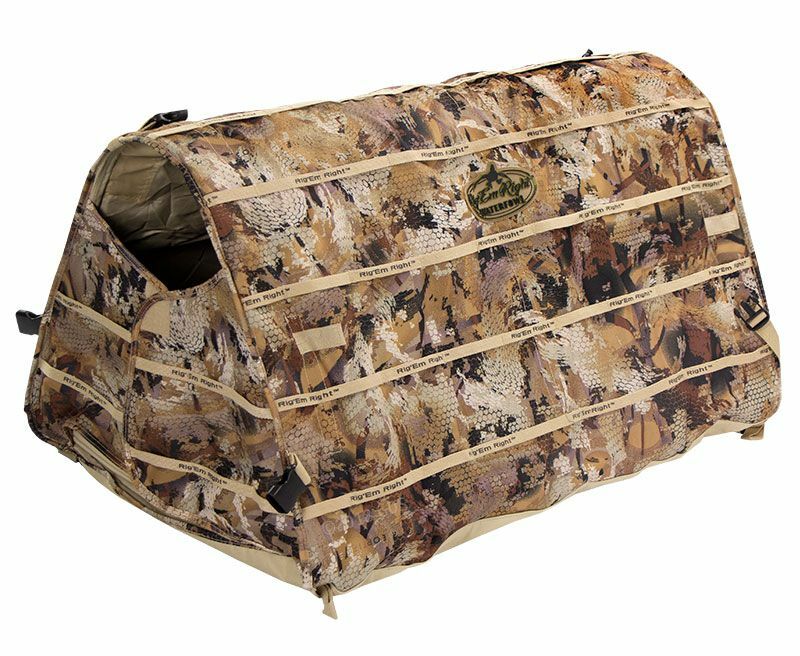 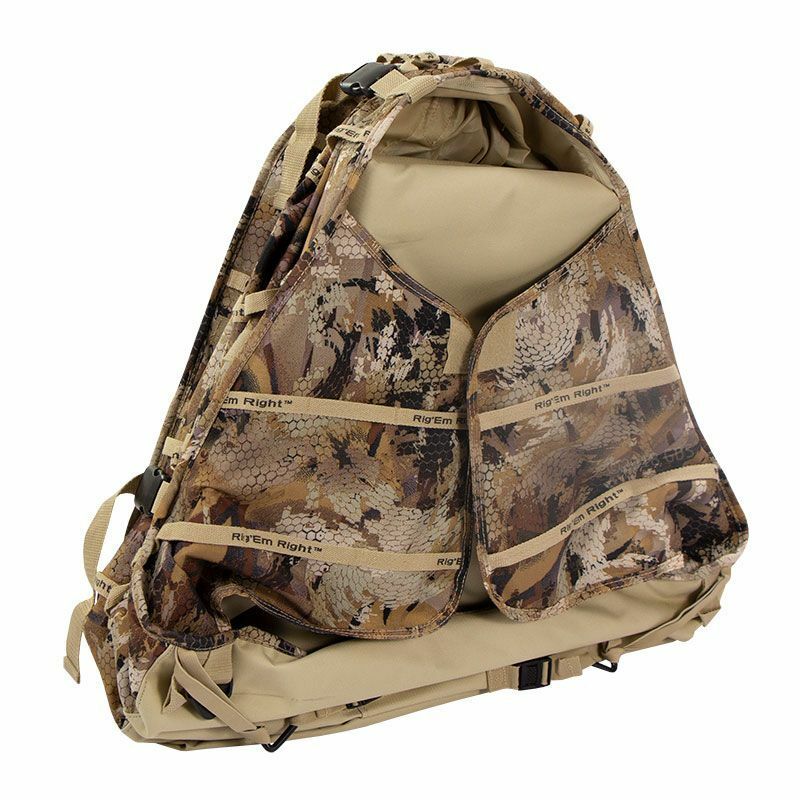 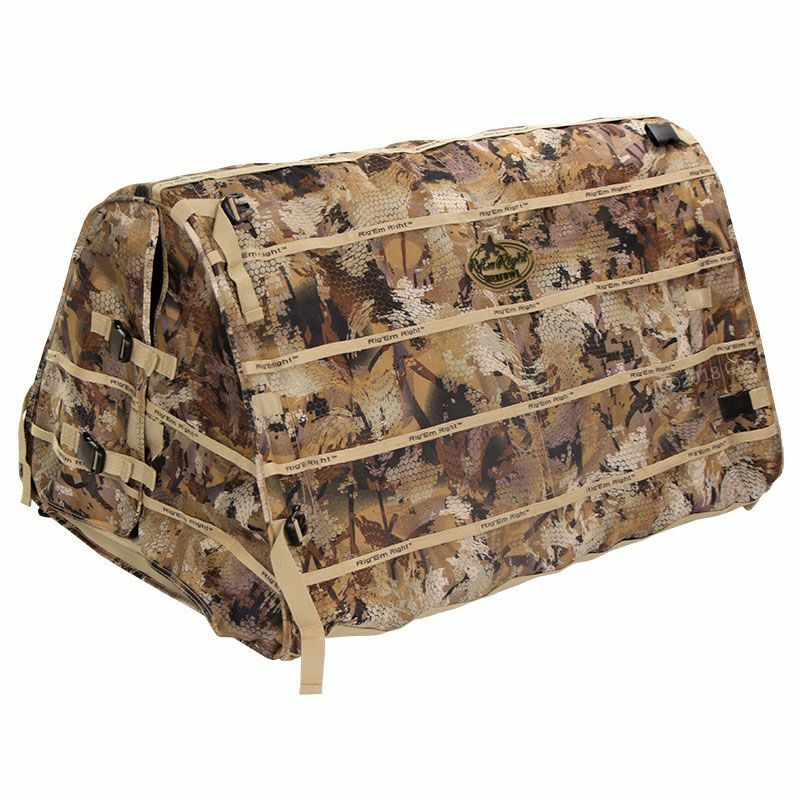 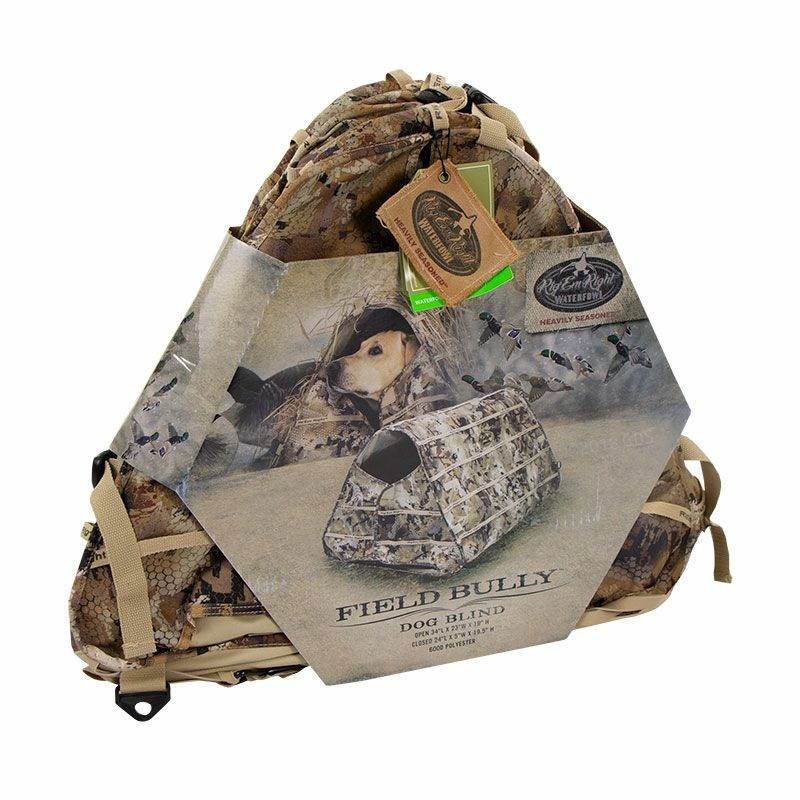 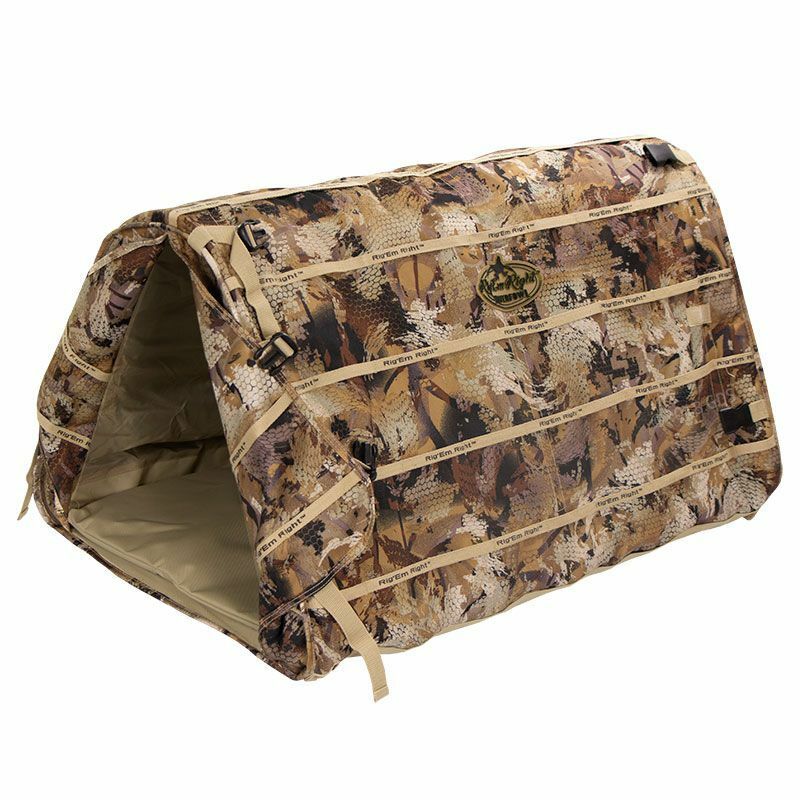 Rig'Em Right's Field Bully Dog Blind features the patent pending Bullycoil frame system that sets up in seconds, compresses flat for storage, and contains no pins, hinges or poles. 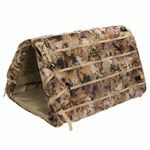 It's one of the quickest, easiest, and most durable dog blinds available! 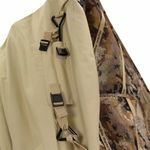 Hunting in the snow? 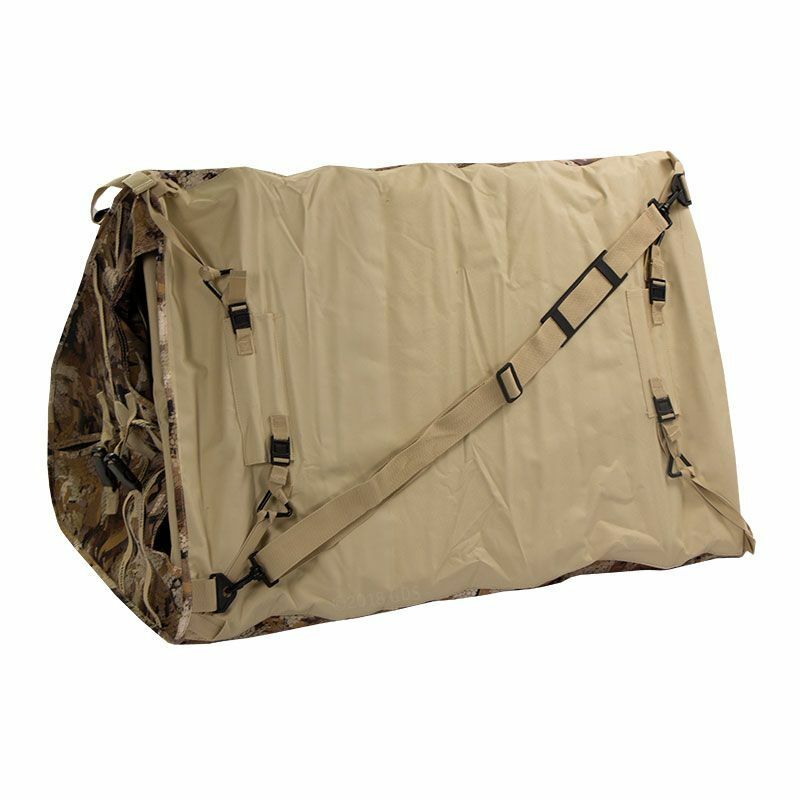 Add the Field Bully Snow Cover! Open dimensions: 34" x 23" x 18"
Closed dimensions: 24" x 5" x 19.5"